Kick Your Vacation Up a Notch! Planning a trip to Wisconsin Dells for your summer holiday adventures? Why not include Wisconsin Skydiving Center on your list of vacation activities! Located just a short drive south of The Dells, Wisconsin Skydiving Center is the #1 choice for skydiving Wisconsin Dells. We’ve been welcoming adventure enthusiasts and thrill seeking vacationers at our Jefferson, WI dropzone for nearly 20 years! If you’ve had enough of the crowds and you’re over the roller coasters and water slides, then maybe it’s time to really step our of your comfort zone and experience one of life’s greatest adventures…skydiving! Wisconsin Skydiving Center is a family owned and operated dropzone. Owners Bo & Alex have more than 55 years of combined skydiving experience. They are passionate about the sport of skydiving and love sharing that passion with their guests. 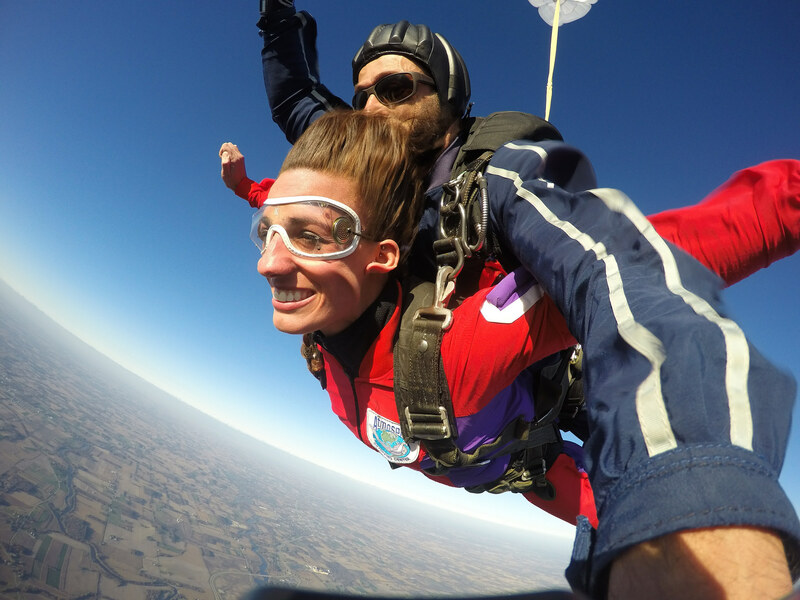 WSC offers services for jumpers of all experience and skill levels including tandem skydiving for first-time skydivers, skydive training programs, and sport skydiving. Our goal is to provide each of our guests with a truly personal skydiving experience that will inspire them and empower them for years to come. Are your ready to experience the adventure of a lifetime? Click the button below to book your Wisconsin Dells skydiving adventure today! We look forward to seeing you at WSC very soon!